Vesicovaginal fistula remains a challenge to surgeons and a nuisance to patients, more so if it is recurrent. Controversy still exists over the ideal approach and time to repair. Introduction and promulgation of videolaparoscopy by Nezhat (1) has revolutionized modern day surgery and has become the predominant means of performing many common surgical procedures (2-4). 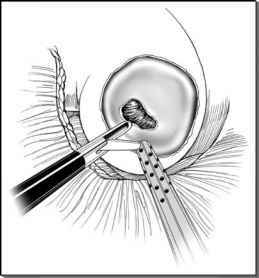 With recent advances in minimally invasive urogynecologic techniques, it is possible to repair some of these fistulas laparoscopically. Operative laparoscopy for segmental bladder resection, vesicovaginal fistula repair, ureteroureterostomy and ureteroneocystostomy with or without psoas hitch had been reported by Nezhat et al. in 1990s (5,6). The laparoscopic approach significantly reduces the access trauma of traditional laparotomy with additional advantages of magnified vision of pelvic organs and less traumatic tissue handling and enables the surgeon to treat concomitant intraperitoneal pathology at the same time. Shorter hospital stay and accelerated postoperative recovery are other benefits of laparoscopic approach.